Sometimes I hate facing reality. I like to think the world is not as cruel and heartless as it can be. Maybe if I simply ignore it, it will get better. But, I’ve realized that the sooner you come to terms with the things that are holding you back from success, the more likely you will be able to figure out a ‘plan b’. Take the reality of older job seekers, particularly older job seekers, those in their mid-’50s and beyond. You’ve worked hard through your career, you’ve been promoted, your salary has increased, your titles have reflected increased seniority. You have a record of accomplishment and success. You’ve established yourself in your industry and in your profession. You’ve been laid off. The company relocated, merged or went bankrupt. You got a new boss with whom you don’t see ‘eye-to-eye’. Your parents/spouse/children/siblings become ill and you need quit in order to take care of them. There are dozens of different reasons you might leave your job. And as many older job seekers find out when searching for a new job, the type of job that reflects their experience, salary-level, seniority, etc. is harder to come by. This is just common sense. But beyond the seniority/experience question, is there a generally accepted bias against older job seekers? I don’t think so, but there are hidden biases that can infiltrate an individual’s thinking about hiring an older job seeker. What is the employee shelf-life of someone who is 60-years-old? Can I hire someone younger who will be with the company longer? Are their salary requirements based on their past experience exorbitant for the position we are offering? Are they over-qualified? We have a culture of young people, would this 57-year-old person fit? Will they be happy here? For most recruiters, it’s simply about finding the ‘most qualified’ person. But ‘most qualified’ is a subjective term which can mean a lot of things to many people. For example, I hear from some older job seekers who tell me, “I don’t need the fancy titles, or the responsibilities I used to enjoy! I want to step back and use my skills in a lesser position.” To a recruiter, hiring an over-qualified person presents challenges: there’s the fear that you will get bored or are going to bounce once you find a job more in line with your resume. For others, it’s a challenge to hire someone who might be more qualified than the boss they will be reporting to. Some older job seekers tell me they ‘dumb-down’ their resumes to try and under-represent their qualifications. Or they leave off certain dates so people can’t tell their age. It is hard to maintain confidence and motivation when faced with these realities and frustrations. Common job-seeking rejection is never followed up with the ‘why’ you were rejected. We are left trying to guess as to the ‘whys’. And then you get to a point where you try to conform to what you think people want even when that means transforming yourself into someone you are not. To be clear, there are state and federal anti-discrimination laws that are designed to protect older job seekers from illegal age biases in hiring. If you think you may be facing age discrimination, check out this helpful AARP fact sheet on laws relating to age discrimination. 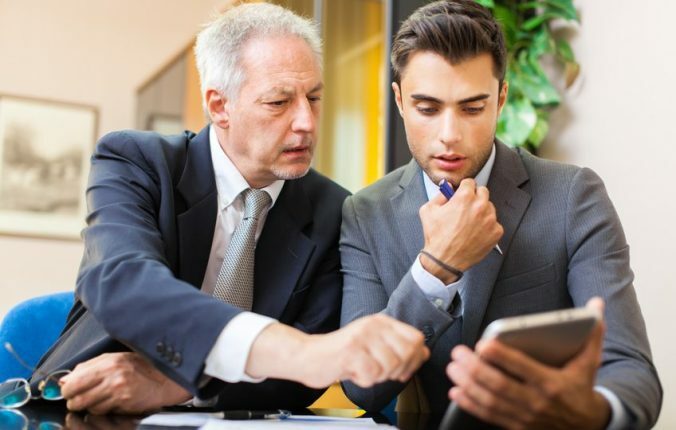 Unfortunately, age discrimination in hiring is difficult to prove and difficult to pursue. Starting a new job in your 50s and 60s is not unheard of and there are plenty of examples of successful people who took creative paths to figure out a new direction in their career journey. In the coming weeks, I’m going to spend some time in blog postings offering my expertise in job seeking strategies for older job seekers as well as tips and experiences from other older job seekers as to how they overcame the biases of age discrimination and maintained their confidence and motivation in their job search. Continued good luck with your job search!